10/30/09 – Halloween 3 – Death By Teenage! Death By Teenage – Teen Tragedy Songs From The 50s and 60s! So let’s listen to some of the greatest, melodramatic teenage tragedy songs ever recorded. You’ll here 2 by Ray Peterson and Dickey Lee. Songs by The Shangri-Las, Cathy Carroll and Johnny Cymbal will also be featured. Then, vote below for your all-time favorite teenage tragedy tune. Vote for “Other”, if yours is not listed and tell us why you voted in the “comments” section. Which Teenage Tragedy Song Do You DIG The Most? Welcome to part one of my three part Halloween series of themed podcasts. We begin this very popular theme with songs about creatures and monsters. You’ll hear frightful favorites from The Jayhawks, Dave Edmunds, John Zacherle and Bo Diddley. Plus, a never before heard interview that I did with the now late great Bobby “Boris” Pickett. I was only 15 years old when I got the chance to interview him and he was a true gentleman. VOTE for your favorite version of the Halloween classic “Monster Mash” and get ready for more tricks and treats on next week’s show. Which One Do You DIG The MOST? - "Monster Mash"
The Friday Night Cat Fight takes to the friendly skies this week for songs about airplanes and flying. So check your “vector” and get on-board, it just might be a bumpy ride. We’ll hear classics from Roger Miller, Ray & Bob, The Steve Miller Band and many other tunes of turbulence in the sky. Vote for your favorite version of “Leaving On A Jet Plane”. Will it be Peter, Paul & Mary’s #1 hit interpretation of John Denver’s tune OR John Denver’s 1969 version that appeared on his first record? You decide and please, keep your seatbelts fastened while in your seat and thank you for not smoking. Which One Do You DIG The MOST? - "Leaving On A Jet Plane"
The “bird” theme continues on this week’s Podcast with songs about “Chickens”. These songs are about chickens as birds, as food and also the dance. 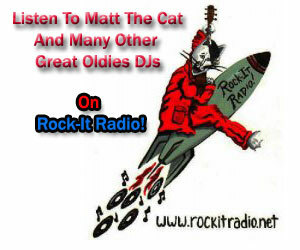 You’ll hear groovy tunes by Cab Calloway, Amos Milburn, Lighnin’ Slim and The Rolling Stones. 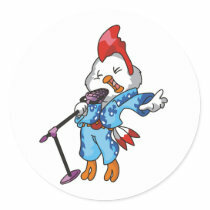 This week’s Cat Fight is between Howlin’ Wolf and Sam Cooke over the classic blues tune, “The (Little) Red Rooster”. Dig on the show and then vote for your favorite version below. Which One Do You DIG The MOST? - "The Red Rooster"